Today's blog post was inspired by a reader question concerning how and where we advertise a home for sale. I have said it numerous times before but I will say it again, some of our best blog posts at the Tallahassee Real Estate Blog come from reader questions, as they help us reach the real thoughts and concerns of today's real estate consumer. But today we are answering a question from a fellow REALTOR® in South Carolina who wants to know where we advertise a home for sale. "DA" wants to know how we "advertise a home for sale" to make it stand out among listings of homes for sale in Tallahassee, and I think this is a great question because my answer today is so much different than it would have been just five years ago. And why is that so important to know? Because most people who want to sell a home today purchased their home 5 to 10 years ago. That means the experience they had the last time they sold will be quite different from what they will discover in 2012. You see, the internet has evolved since then, and now plays a prominent role in how to advertise a home for sale. First of all, please never apologize for asking a question at the Tallahassee Real Estate Blog, that is why we're here ... and most likely you will be asking a question that many of our readers will wonder about as well. 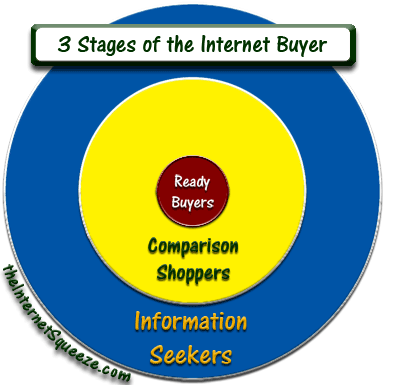 The internet allows us to measure so many things, and because of this, we have a much better grasp of home buyer behavior today than we did in the past, when we had very little ability to quantify the actions of buyers at the various stages of the home buying process. If you have read our findings about the three stages of the home buying process, then you know that we must decide if we plan to advertise a home for sale to all three stages, or just the final stage, when buyers are making a decision. In reality, most real estate agents (even a husband and wife team), do not have the resources to effectively advertise a home for sale to all three stages, and thus the money and time being spent is not optimal for the agent or the client. By way of example, my office works as a team on listings, and we spend more than 12 hours per day actively marketing our listings to all three stages of buyers on the internet. But if I were a single agent (or if Michelle and I were a team) in a traditional real estate office, I would only focus my time marketing my/our listings to buyers in the final two stages. So why does this matter? BECAUSE MOST REAL ESTATE AGENTS SPEND ALL OF THEIR TIME AND MONEY ADVERTISING A HOME FOR SALE TO HOME BUYERS IN THE WRONG STAGE! The fact is very few homes are sold from the large, aggregate real estate sites. "DA" asks about Realtor.com, and I see every month when they send me my activity report that it is a site that attracts stage 1 home buyers, and they are looking at houses, not making decisions to buy. We see a lot of viewings (exposure) but very little interest. It is because when we advertise a home for sale on Realtor.com, the listings are being shown to people who most likely are just starting the home-buying process. This means that these folks won't be making a decision the day they look at homes there. So if not Realtor.com, than where? This blog post would have to be ten times longer to fully answer the question, so I will provide a list of links that address the question of marketing to home buyers at various stages of the buying process. Of course, you could always use our new site search tool in the upper right sidebar of the Tallahassee Real Estate Blog. It will take you to the links above, and several more. The real answer to today's question about where to advertise a home for sale is "it depends on your resources." The best real estate sales process relies on list marketing to work a buyer through the long process of evolving from an information seeker, to a comparison shopper, and then finally to a ready buyer. Real estate companies that work the entire home buying cycle have lists of hundreds or even thousands of people that are in one stage or another of buying a home. Our list is over 3,000, and growing! List marketing allows us to target the "ready buyers" from the the list of thousands that will not yet be deciding to buy a home. This is a targeted home selling plan, as opposed to throwing a property out there on Realtor.com and hoping that a low-motivation shopper will impulsively decide that now is the time to buy. While this does happen sometimes, it is the extreme exception, and certainly not the rule. If you want to sell your home, hire the real estate company that can show you a thousands-deep list of home buyers at each stage of the home selling process. Then have them show you how they will use list marketing to expose your home (right away) to the ready buyers in the market. Remember, home values are dropping, so the sooner you sell, the more money you will get from your home, and wise targeting when you advertise a home for sale is the key.